If you are looking to create custom uniforms, The Lifeguard Store has set up an entire process to help. First, you will want to register your team. You will then begin working with a team specialist who will advance you to selecting the appropriate team items that match your needs such as sweatshirts and warmups or team swimwear. Step three is the fun part! 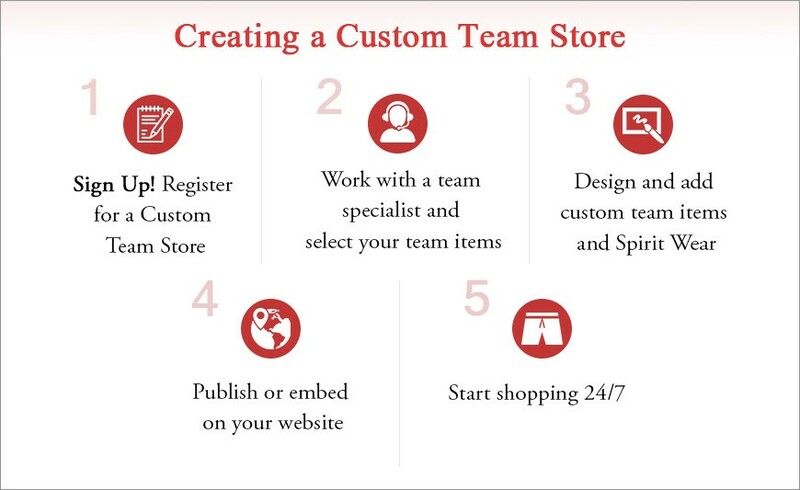 You can design and add custom items, anywhere from apparel and uniforms to equipment. You can also create any Spirit Wear for your swimmers such as sweatshirts and sweatpants or t-shirts and team bags. Tailor your apparel to match your team or school colors, along with a logo or mascot. It’s easy to add player names to specific pieces of apparel or team bags, too. Once you complete the perfect design, you publish or embed your website and begin shopping 24/7. Your swim team will not only look the best, but they will also feel confident and high-spirited. Look sharp and ready for competition when you have a custom team store built for your team! You have the freedom to select from thousands of different products, including personalized custom team items and Spirit Wear exclusive to your team!